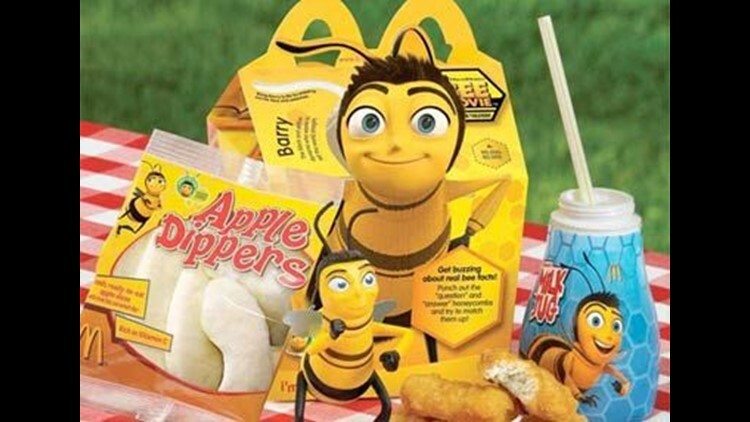 SAN JOSE, Calif. (AP) — A child's "Happy Meal" may soon be a little less happy in Santa Clara County, where a local official wants to prevent fast-food restaurants from giving away inexpensive toys with kids' orders. County supervisor Ken Yeager plans to ask his colleagues Tuesday to order up a law regulating when fast-food outlets can serve toy cars, action figures and other freebies as part of their children's' menus. Yeager says the toys entice young customers to load up on high-calorie fare and may contribute to childhood obesity. Depending on what staff members propose, the law either could ban toy giveaways at restaurants in the county or allow toys only to be included with healthy meals. California Restaurant Association spokesman Dan Conway says "taking the toys hostage" will not keep children from becoming overweight.